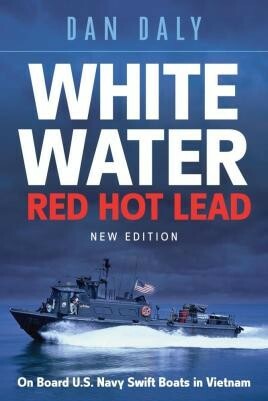 Action-packed account of Swift Boat duty in Vietnam as a six-man crew has to come together to survive, encountering many dangers along the way. During the Vietnam war 3500 officers and men served in the Swift Boat program in a fleet of 130 boats with no armor plating. The boats patrolled the coast and rivers of South Vietnam, with the average age of the crew being twenty-four. Their days consisted of deadly combat, intense lightning firefights, storms and many hidden dangers. This action-packed story of combat written by Dan Daly, a Vietnam combat veteran who was the Officer in Charge of PCF 76 makes you part of the Swift Boat crew. The six man crew of PCF 76 were volunteers from all over the United States, eager to serve their country in a highly unique type of duty not seen since the PT boats of WWII. This inexperienced and disparate group of men would meld into a combat team - a team that formed an unbreakable, lifelong bond. After training they were plunged into a 12 month tour of duty. Combat took place in the closest confines imaginable, where the enemy were hidden behind a passing sand dune or a single sniper could be concealed in an onshore bunker, mines might be submerged at every fork in the river. The enemy was all around you, hiding, waiting, while your fifty-foot Swift Boat works its way upriver. In many cases the rivers became so narrow there was barely room to maneuver or turn around. The only way out might be into a deadly ambush. Humor and a touch of romance relieve the tension in this thrilling ride with America's finest. The publishing standard is very high as one would expect from Casemate and this book is a great addition to anyone with an interest in naval operations of the Vietnam War and what leading a small team of young men into combat must have been like in such a unique and challenging assignment. I highly recommend this book. The Vietnam War has had some 'classic' books written about it…and this book will be up there with them…If you have an interest in small-scale naval actions, and the Vietnam War in particular, then this is a must-read! Another fine book from Casemate that reads like fiction - amazing accounts of daring and courage in one of the worst wars in living history. An impressively written and riveting history of what this particular area of lethal combat was like on a daily basis by a man who survived it...The stuff from which block buster movies are made. This is a beautifully produced book...it's one of those reads that you won't put down once you get started...A great subject, well-written by someone who actually served.